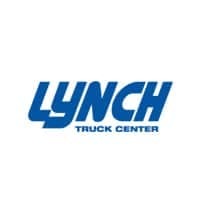 At Lynch Truck Center we have 20 modern service bays, run 2 shifts and Saturday, and have over 25,000 parts on hand to get you back on the road. Our GM Business Elite technicians are ASE-certified and more than half of them have worked here for over 10 years. They are GM Trained and Certified on cars, trucks, vans, GM Medium duty trucks and Duramax Diesels, not to mention all the new diesel technology that has been implemented in recent years. Of course, we work on gasoline engines too. And, we even have an entire second shift team that can work on your truck so you can have it the next day! At Lynch Truck Center, 95% of our work is performed on commercial trucks like GM. With extensive knowledge and skill comes our efficiency. We pride ourselves on getting GM commercial trucks back on the road for businesses who rely on them most. Our GM service technicians know GM trucks (Chevrolet and GMC) and Duramax diesels because that’s their specialty! If your Chevrolet or GMC commercial truck needs service or repair trust Lynch Truck Center to get your truck back on the road faster! Conveniently located in Waterford, WI, our GM Business Elite commercial truck center is near all the major hubs in southeast Wisconsin and northern Illinois, including: Milwaukee, Chicago, Racine, Kenosha, Janesville, Rockford, Crystal Lake, Waukegan, Beloit, Fort Atkinson, Zion, Waukesha, New Berlin, Brookfield, Fond du Lac and Monroe. Our commercial truck center is conveniently located near all the major hubs in southeast Wisconsin and northern Illinois, including Milwaukee, Chicago, Racine, Kenosha, Janesville, Rockford, Crystal Lake, Waukegan, Beloit, Fort Atkinson, Zion, Waukesha, New Berlin, Brookfield, Fond du Lac, and Monroe.